Looks like a killer deal considering individually the HU is $250, dash kit is another $250, and the ADS-MRR is $130. The antenna adapter is pretty much a throw in. She has the 6 speaker SYNC option, not the touch screen. Will this setup work well and is this everything I need to retain all functionality? Do I need any additional wiring harnesses? Install looks pretty cake once the factory system is pulled out. The iDatalink kit is supposed to be able to keep all of the features. I definitely understand frustration with the factory stereo not working though. I've read that the kit does retain steering wheel controls, though, I'm not entirely sure how with the aftermarket head unit. I'm dreading the possibility of this happening to mine. 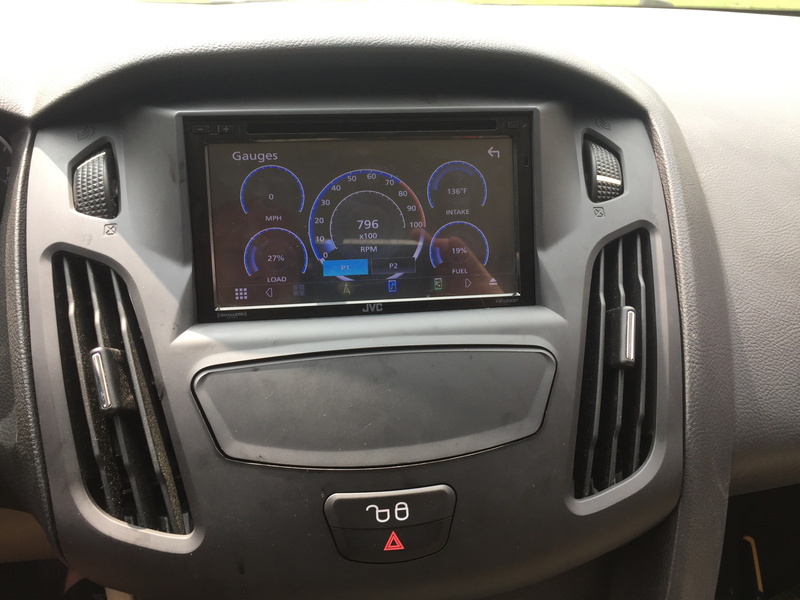 I already have a couple of head units that I quite like, and wouldn't mind using, but I am worried about keeping the factory features. I have it. Works pretty well. Was a little tough to program since I did not have a 32 bit windows pc and at didnt work with 64 bit. It is supposed to retain everything including sync. 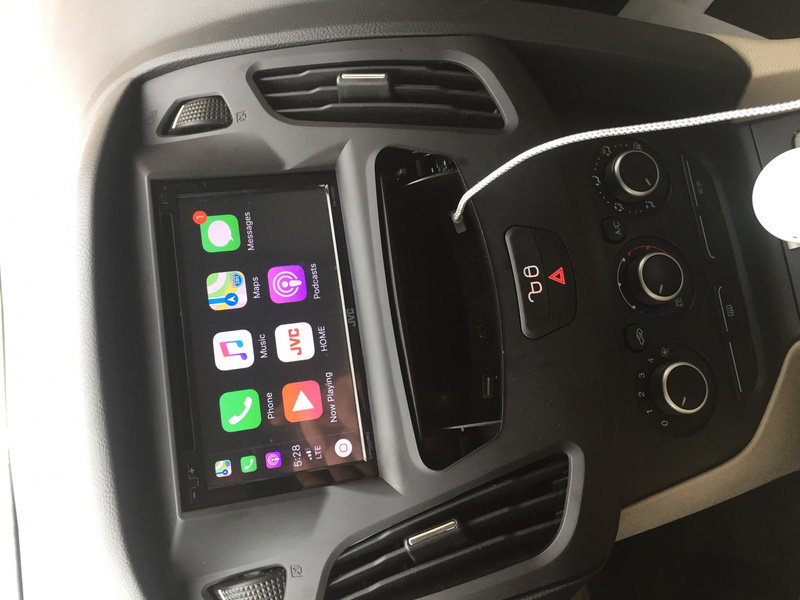 My sync doesnt work but the headunit I used has Carplay and the aftermarket bluetooth is way better than the Ford stuff so I never tried to figure out why. Backup sensors are also a little off, but I installed a camera so I dont need them anyway. Easy to install after programmed. Overall a huge improvement over factory. Hi all. I'm sorry about this but I cant navigate this site to post a question. I'm in my fifties and probably too old! This is the closest to the question I want to ask. ..............I have a 2016 titanium focus that I put a Chinese aftermarket stereo in. I'm having problems with steering wheel controls working. Does any one know the colours of the cables that come from the audio controls on the steering wheel to the harness on back of where the original radio was and is it analogue or digital? Easy install? Nothing else needed? Just want to make sure all the speakers continue to work. Losing the pillar tweeters would be a deal breaker. I thought it was pretty easy, just take your time and follow the directions. The hardest part was getting the headunit to line up with the bezel. Mine runs to an amp, but the way its made all of the factory speakers will work assuming you wire it correctly. The dash kit comes with the wiring harness, so you just need it, the Maestro box, and antenna adapter. So is it basically plug and play with the harness if you are not using an amp? 2012 Focus SE Hatch 5 MT - RS AirBox, AEM DryFlo, Snorkel Delete, 180 T-Stat, eFOCUS RMM, FSWerks Stealth Exhaust, Steeda RSB, RSTB, and Tom's Tune! Once you use a computer to program he maestro module you just wire the included harness to your stereo and plug it all in. It took me longer to get the module programmed than to wire and install. OK good to know. I have the pop issue going on. Trying to decide what to do. I want to drive the car for another year and then maybe get an F-150. Thanks 89lxvert, I think I'm gonna give it a go in the near future once the weather warms up a bit so I can do it outside, my current garage isn't all that big or well lit.